Winners of 17 NBA titles, the Boston Celtics are no strangers to post-season play. With this season winding down, the Celtics are in third place in the Atlantic Division, but the division is so strong and that translates into sitting at No. 4 in the Eastern Conference. The Celtics, along with Milwaukee, Toronto, Philadelphia and Indiana have already clinched a playoff spot, the 10th time since Boston won an NBA title in 2007-08. Primary market Celtics playoff tickets go on sale next Wednesday via Ticketsmaster. On the secondary market the average asking price for a Celtics regular-season game is $225, according to secondary ticket marketplace TicketIQ.com. That price represents a nearly 35% increase over 2017-18, and made the Celtics the fifth most expensive team across the NBA. In general, playoff tickets on the secondary market cost 54% more than regular-season tickets. 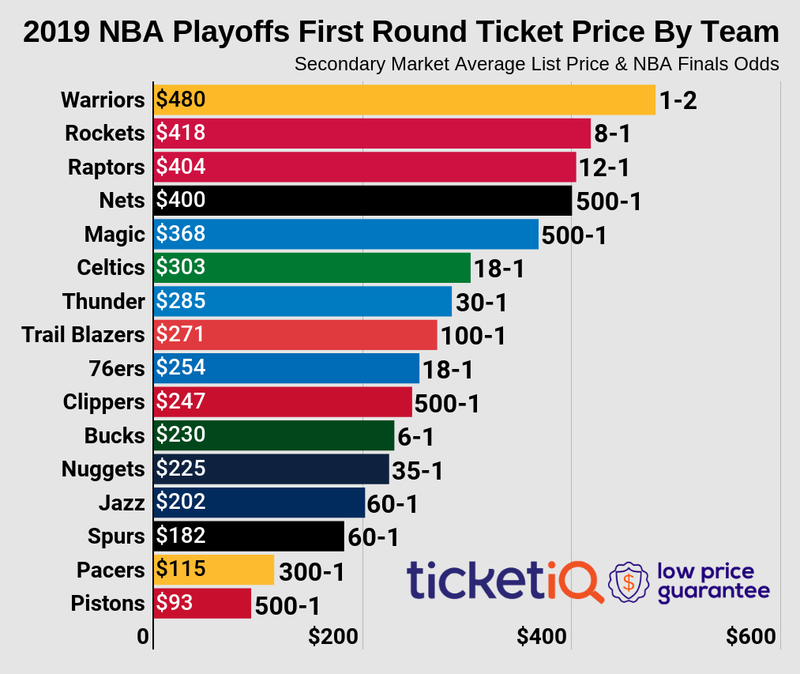 Below is a look at Celtics playoff ticket prices on the secondary market since 2011. Fans can still get face-value playoff tickets through Shoowin.com, which offers consumers the opportunity to reserve tickets for big events and then purchase them at face value. According to the Shoowin website, fans can save up to 98% over other ticket sites. Reservations are available for potential later round games, beginning at $5 for Eastern Conference semifinals at TD Garden, $40 for the Eastern Conference finals, and $19 for Game 1 of the NBA Finals. Reservation prices for the other three potential NBA Finals at TD Garden range between $60-$167. Following that NBA championship in 2008, the Celtics got to the NBA Finals in 2009-10, and have come close to doing so three other times. In both 2011-12 and last season, Boston pushed the Eastern Conference finals to seven games, only to lose the series. The Celtics have won 21 conference championships.